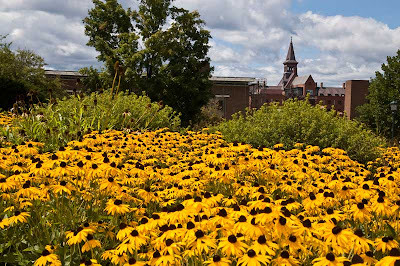 Captured some Black Eyed Susans at UVM. These are located right in the corner across from the Given and Rowell buildings. I was in a bit of a hurry but would have loved to take the time to capture more in depth macro shots of the flowers as well as the insects on them. Unfortunately, the flowers are not at their peak now and have lost their oomph! !